Home | Discount Leotards ™ > Grips, Grip Bags, Balm, Etc. > Bailie palm grips for your beginner gymnast. Black or purple hook and loop. This basic palm grip is designed for the recreational gymnast. 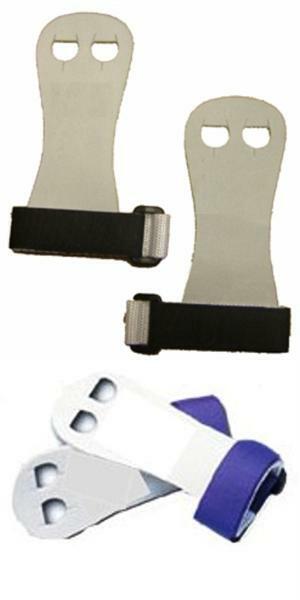 This soft leather, no dowel grip with a velcro strap is designed to protect the palm of the hand. SOFT SUEDE GRIPS WITH hook and loop CLOSURES (NO dowel). Purple or black velcro wristband.